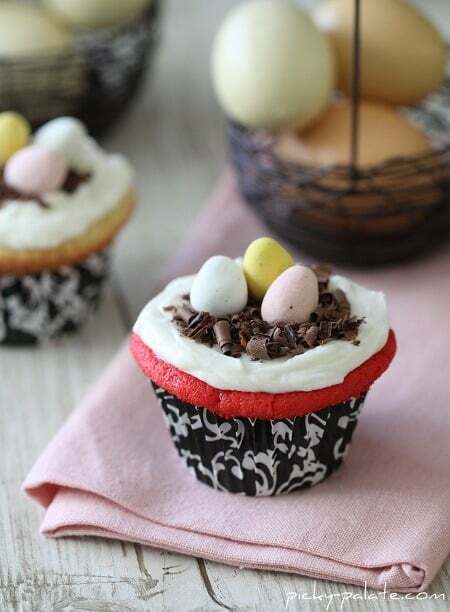 Need a last minute Easter Cupcake idea? 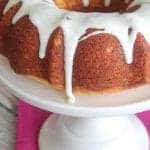 Here’s what you’ll need: A cake mix (or your favorite white or yellow cake recipe), food coloring gels to tint the batter, a block of chocolate for shaved curls that you do with a vegetable peeler, then top it off with Cadbury mini Eggs. See full instructions over at Smithfield.com for my latest post with them. Have a beautiful Wednesday!! And if you put a Twizzler in either side of the top of the cupcake, it looks like a basket handle! The kids LOVED them when I made them 2 years ago!!! I love the chocolate shavings used to make the nest. Such a good idea! Can’t wait to make my own! I love anything with mini eggs. I’m going to buy a giant bag tonight and I HOPE they will last until saturday nights dinner…. These are so fun! I love that you used a black and white liner – so unexpected from the usual pastels of Easter. Have a great holiday! Thats such an easy idea! Love it! Nothing simple here- I see LOTS of deliciousness! I love the cupcakes! Very cute! and those cupcake liners are cute!! hee hee I just finished writting a post about Wizard of Oz cupcakes and I used the same liners! Aren’t they pretty! and I love how they stay the same in color after baking! Just got asked to bring a second dessert to Easter Sunday – perfect! Will I find the cute cupcake wrappers at Michaels? These are super cute! I love them. These are so cute. I really like the muffin cups. 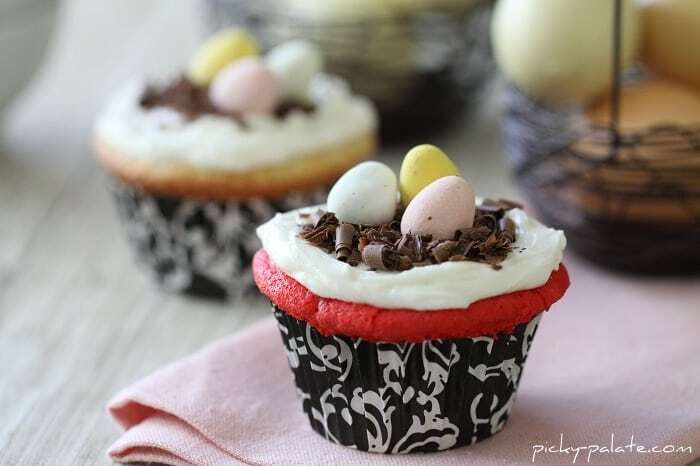 Jenny these cupcakes are so pretty & perfect for Easter! Made these tonight. I give them 2 thumbs up for ease, short ingredient list and presentation. 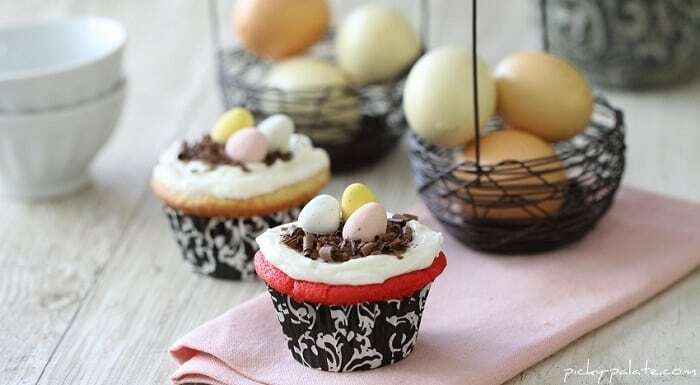 I needed something eye catching and cute for Easter entertaining. A huge hit! I used ready made frosting. I recommend and will be making again! This is great idea, it’s so simple to make and look so cute. 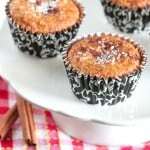 I’ve featured this cupcakes on my blog! I hope you don’t mind! If you don’t agree with that please contact me and I will remove it. All the best.